A working mom really welcomes any excuse to enjoy some social activities without a baby in tow. 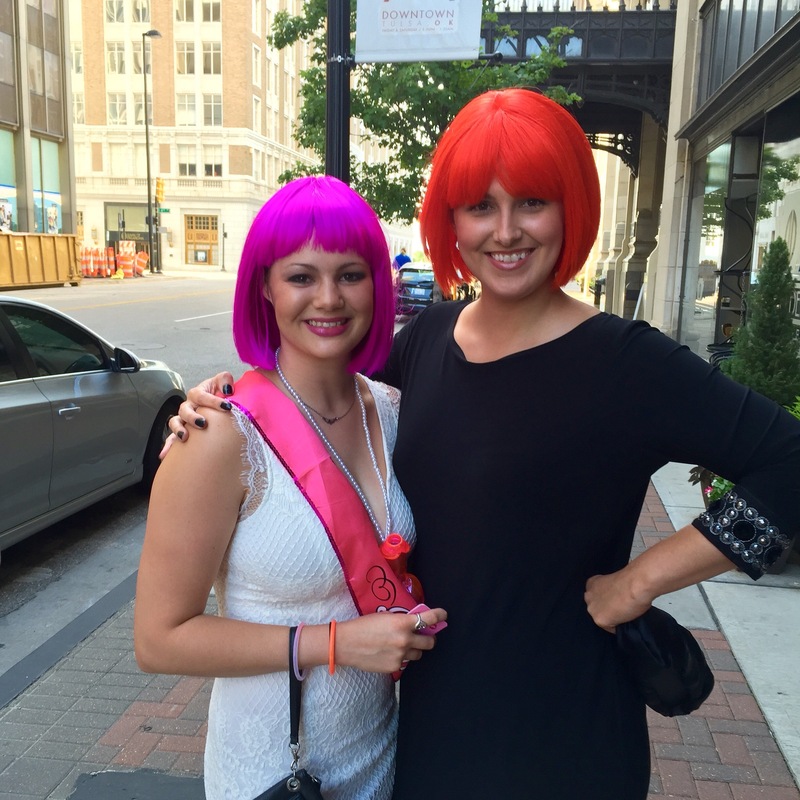 So, this past weekend, I was able to attend a Bachelorette Party for a close friend. I’m also a bridesmaid in her wedding this coming weekend. I’m talking about nearly 24 hours of FREE time to get gussied up, eat dinner and socialize with girlfriends. Oh, what a glorious time it was!!! Major props to The Husband for being on Little Man duty from 3pm on Saturday till 2pm on Sunday. These duties included getting up and headed to church on Sunday morning with Little Man in tow all by himself…no easy task!! 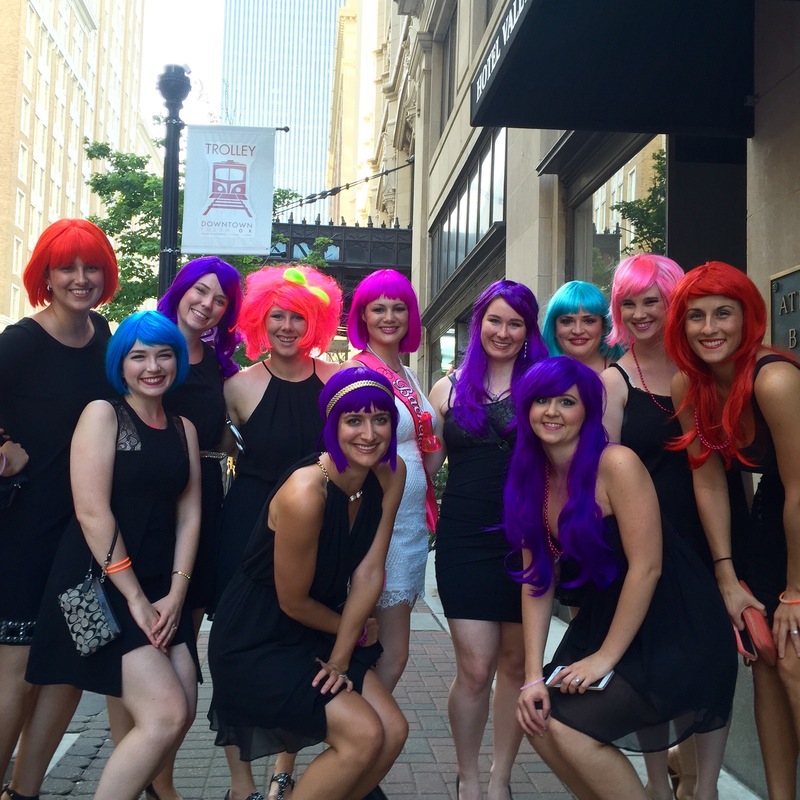 The wigs definitely got us noticed wherever we went which made the evening so much more fun. We must have had over a dozen strangers request to take a picture with us!! Then I have a wedding next weekend that I’m beginning to finalize details for. After my wedding on the 8th I have my longest break since my maternity leave. 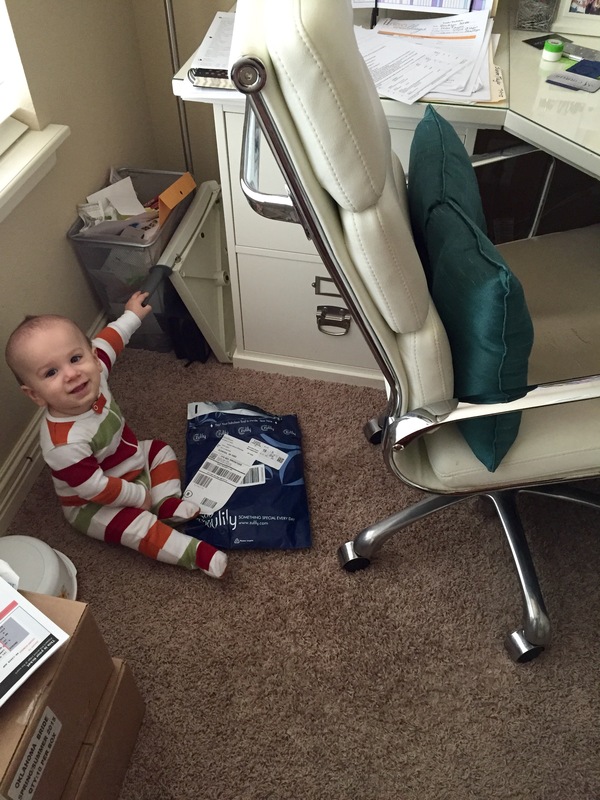 Just in time for Little Man’s first birthday….are you kidding me?!?! This is how I felt for the past 2 weeks. I’ve been so busy keeping up with clients that I felt like I was barely keeping up with motherhood. And forget about domestic responsibilities – thankfully The Husband managed several loads of laundry last weekend while I was working a big wedding. Last week was so busy with drop-ins at the wedding venue that I was unable to plan them or estimate how long they’d take, thereby, planning for childcare was next to impossible. So, I deemed it simplest to just take Little Man along. The venue staff came to know me as the lady with the baby on her chest because I was wearing him in the Ergo for hours on end while I was there. This is what “Mom, I’m done bouncing up and down in the same spot…Okay, son, for the love, I just need to finish this email so sit here on the ground and play with some toys that are not age appropriate as long as it keeps you quiet for 2 more minutes! !” looks like. I survived and this week is much less chaotic so I’m trying to earn back some momma points by getting in a lot more Momma + Little Man quality time. For fun here’s a pic from my wedding last weekend. 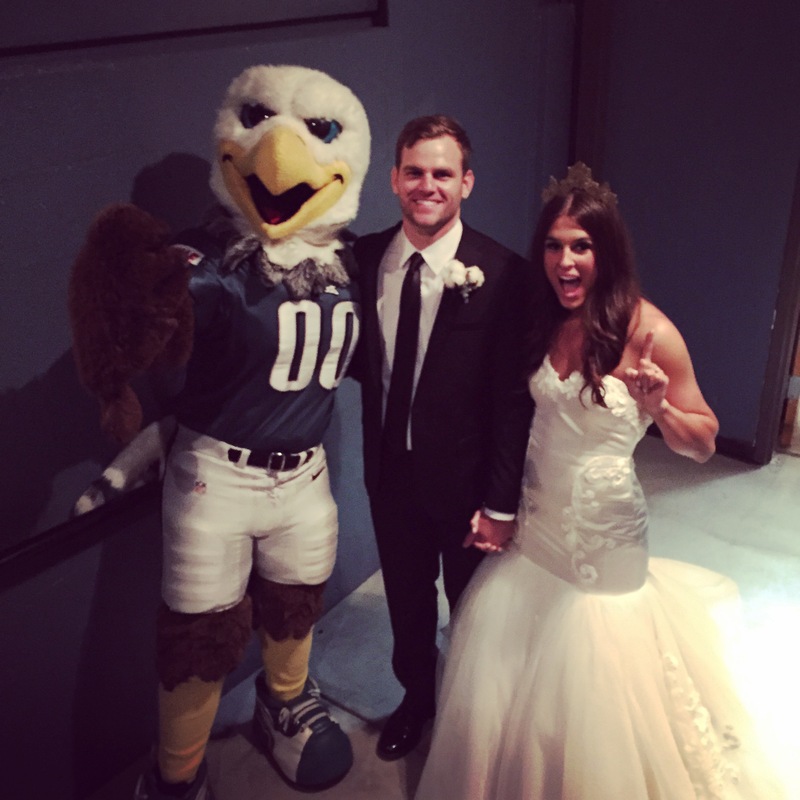 The groom is one of the coaches for the Philadelphia Eagles so the mascot partied with the guests at the reception. This picture was moments before Swoop entered the reception and surprised the guests! My job really IS fun even though it keeps my plate full! !